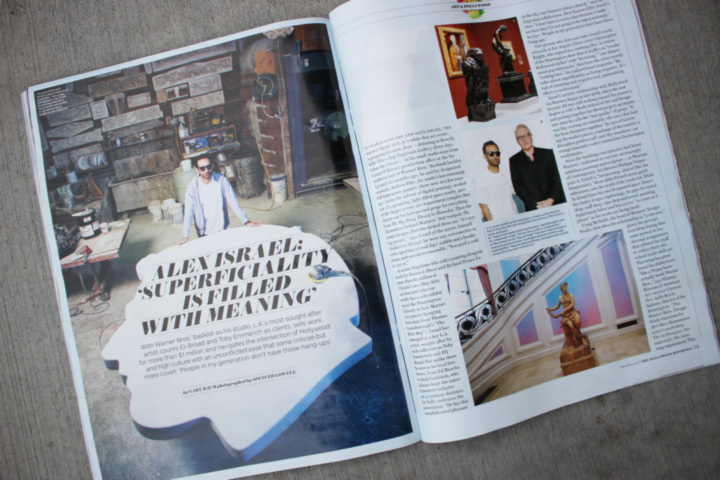 In case you missed it, The The Hollywood Reporter Magazine featured Alex Israel– L.A.’s most sought-after artist. The artistic relationship with Hollywood via the Warner Bros. Design Studio began in late 2009, when Alex was still working toward his master’s degree at USC’s Roski School of Art and Design. The relationship with Alex is “a win-win,” allowing the Design Studio craftsmen to utilize their old-school trade skill set. DC Universe: The Exhibit is now open!